London, 31st January 2019. 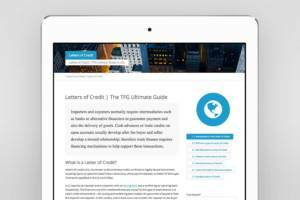 Trade Finance Global are delighted to announce a strategic media partnership with the International Chamber of Commerce (ICC) for their 2019 ICC Banking Commission Annual Meeting. The highly anticipated event, to be held in Beijing on 8-11 April 2019, will attract over 600 attendees from more than 65 countries around the world. As a technology and media partner, Trade Finance Global will facilitate, cover and collaborate at the conference, themed: “Leading the Way in Global Trade”. “We are pleased to have Trade Finance Global onboard as a partner for the 2019 Annual Meeting”, said Paulina Martinez, Project Manager at the Banking Commission. “The support given from our media, technology and institutional partners is highly valued as they enable us to cement and form new relationships with key audiences.”Asia Pacific is the primary hub for trade finance globally which, alongside China’s ambitious initiatives and important role within the region – with projects such as the Belt & Road Initiative championing its position at the heart of international trade –, made Beijing an ideal location to host the 2019 Annual Meeting. What’s more, this year’s conference marks the centenary of ICC and will celebrate its numerous successes while also looking at the ways in which it can continue to promote international trade standards and rules for the next hundred years. Key themes for this year’s Annual Meeting include the digitalisation of trade finance, the growing interest in sustainable and green trade finance, as well as the ongoing changes in regulatory and compliance requirements. Through a series of plenary and breakout sessions, delegates will be invited to debate, discuss and gain insight into the latest developments and critical issues affecting the sector. 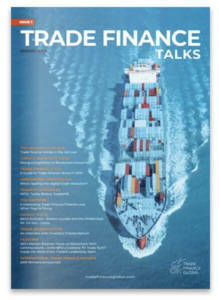 As the most open forum to influence the policy and guidelines governing trade finance, the Annual Meeting is a key event for trade finance professionals, industry experts and government officials – offering a unique opportunity to be a part of the largest and most authoritative voice in the field of trade finance. Trade Finance Global is pleased to be supporting the 2019 ICC Banking Commission Annual Meeting. Stay tuned for updates, interviews and articles in the run up to the conference. Find out more about the conference, download the agenda, and see who’s attending here.